There’s a lot of buzz about the upcoming Ajith-Gautham Menon film. Pretty much everything about the film is being kept under wraps. We nail the elusive Gautham for a chat, and get him talking about this film, Ajith, Suriya and more. Finally, a film with Ajith. How did it happen? I wanted Ajith to act in Kaakha Khaakha and had approached him first. Then, it went to Vikram and then, finally Suriya. I was also supposed to do a film with Ajith when he was about to start Asal, then again, during Mankatha. We discussed a project, but couldn’t start it. I don’t have any reason as to why it didn’t happen, it just didn’t. Now, when the Suriya project was shelved and I was wondering what’s next, Ajith’s film came my way. 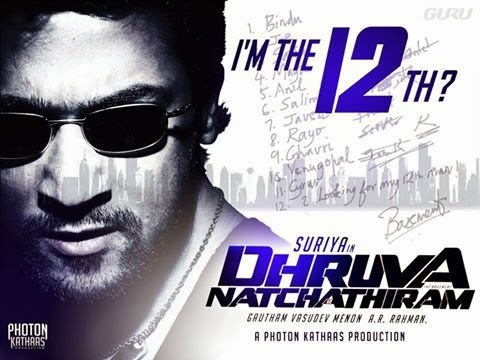 When Suriya released a statement saying he was walking out Dhruvva Natchathiram, why didn’t you react? He’d stated that I didn’t tell him the script. But the question is, whether I didn’t tell him the script at all, or didn’t tell him the one he’d like to hear. I was disappointed, but only for three hours. After that, I just moved on. That night itself we started the Simbu film. The next week we started filming with Ajith. Since then things have only got better, so I thought why even talk about it. Will you work with Suriya again? Right now, I don’t see that happening. Somewhere two people have to connect. Whenever I write a script, Trisha has been my first choice for lead because we have a good connect – like I feel with Ajith and the comfort level that I always feel with Simbu… till I feel that connect with somebody, I am not looking to work with that person. Have you gone out of your comfort zone and added commercial elements for a mass hero? When we sat and discussed the project, Ajith told me, ‘let’s make a film that you are comfortable with’. Even if I try to infuse extra commercial elements just for him, he usually says no to it. And also, I don’t know how to commercialise anything, I have never done that. There is absolutely no pressure on me from any side. Romance is your forte. Can we get to see a romantic Ajith? Yes, absolutely. The audience will get to see a romantic Ajith in this film. We’ve shot a romantic song, Mazhai Varapoguthey, recently with Ajith and he has done it beautifully. You haven’t announced a title for this film, yet. We have a title, but we want to wait before announcing it. There is so much buzz around it and this is exactly what a hero’s film is all about. We are planning to release the film this December and the audio launch in November – we’re planning to announce the title around this time. When will you start working on the Simbu film again? I have got just 30 days’ shoot left for that film. I will re-start it as soon as I finish the current one. I know there are rumours that it has been shelved, but as I said earlier, I should be either rich or weird to drop this film. I am neither, so I will definitely start that film in December.